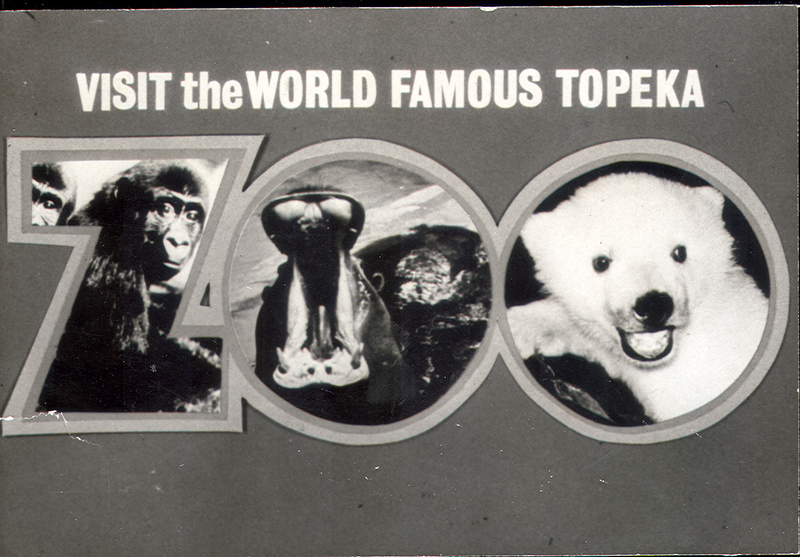 Nestled in Gage Park, the Topeka Zoological Park was founded in 1933. 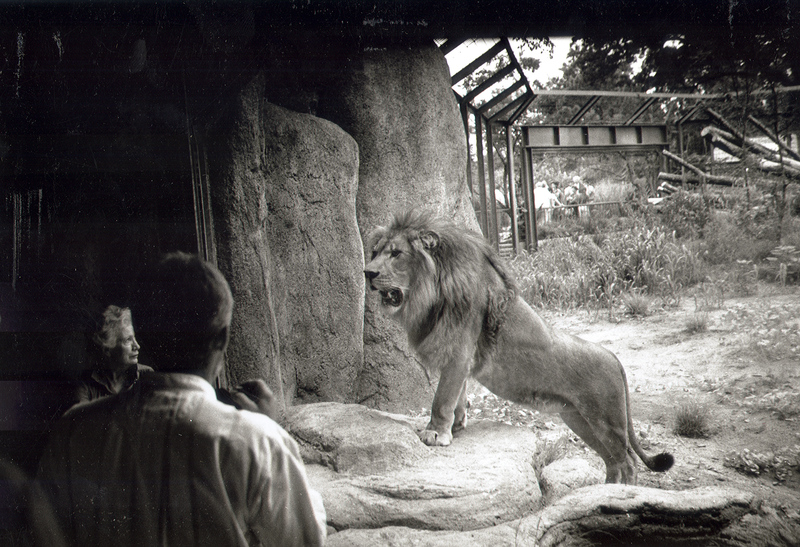 We renamed in 2016 to the Topeka Zoo and Conservation Center to better reflect our endeavors. Proudly accredited by the Association of Zoos and Aquariums, we strive to enrich the community through wildlife conservation and education. 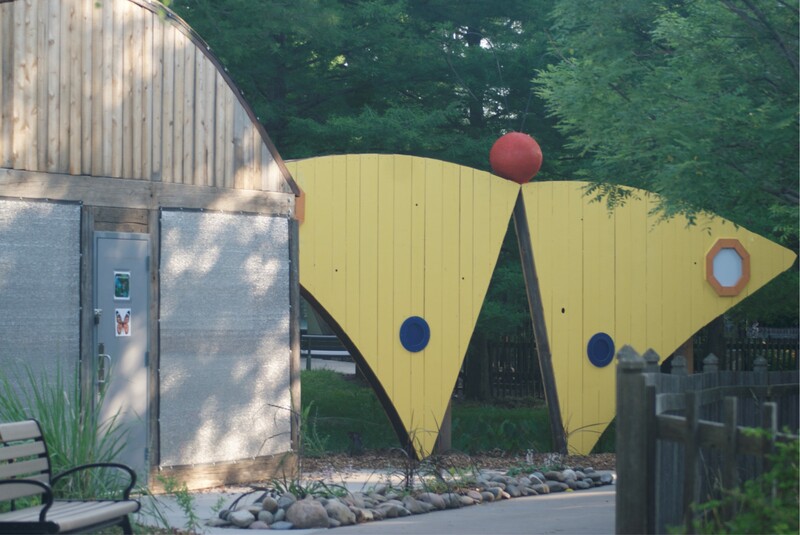 As we prepare to open the largest project in our history, Camp Cowabunga, we look back on some of the moments that helped shape who we are. 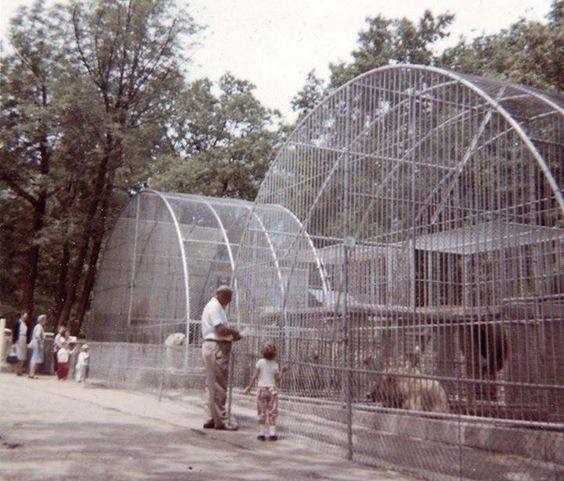 The Rainforest opened in 1974 and featured many innovative exhibits, such as this Asian Smalll Clawed Otter habitat. 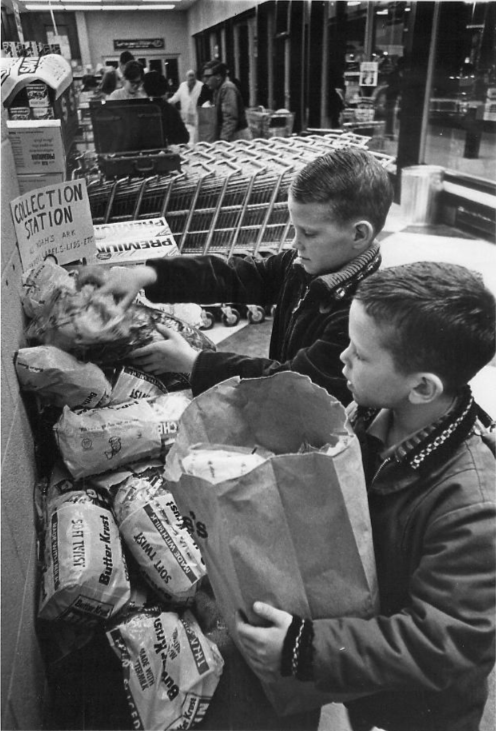 Topekans helped fundraise for the Animals and Man building by collecting bread wrappers. 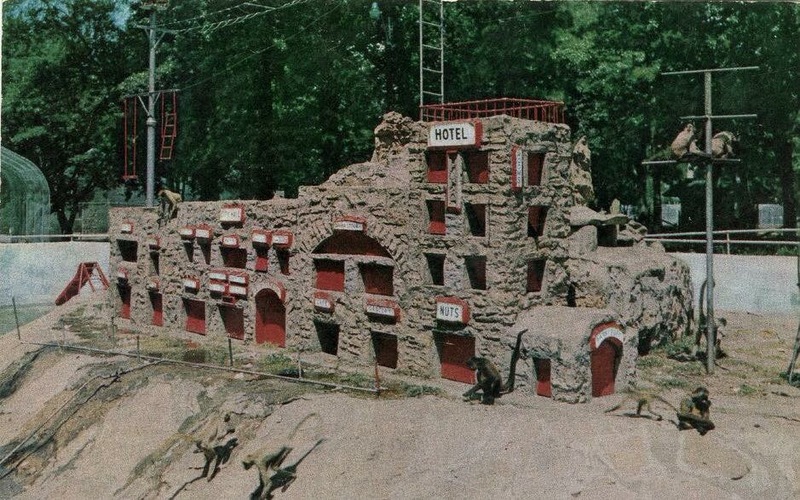 Animals and Man opened in 1966. 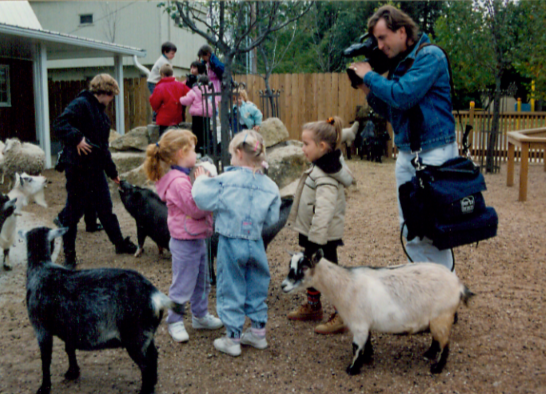 Children Zoo opened in 1992 and featured goats, sheep, and pot-bellied pigs: Wilbur and Waldo. 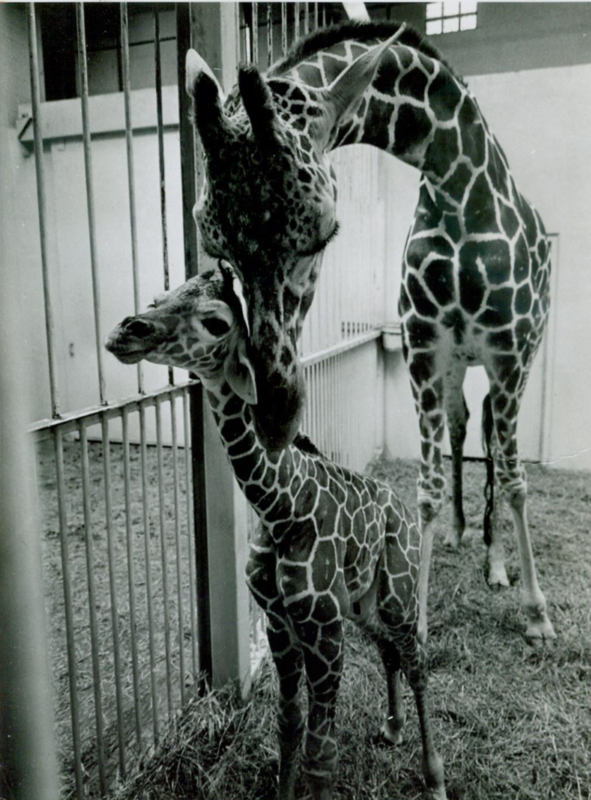 Guests visit Sunflower a few months after her birth on August 24th, 1970. 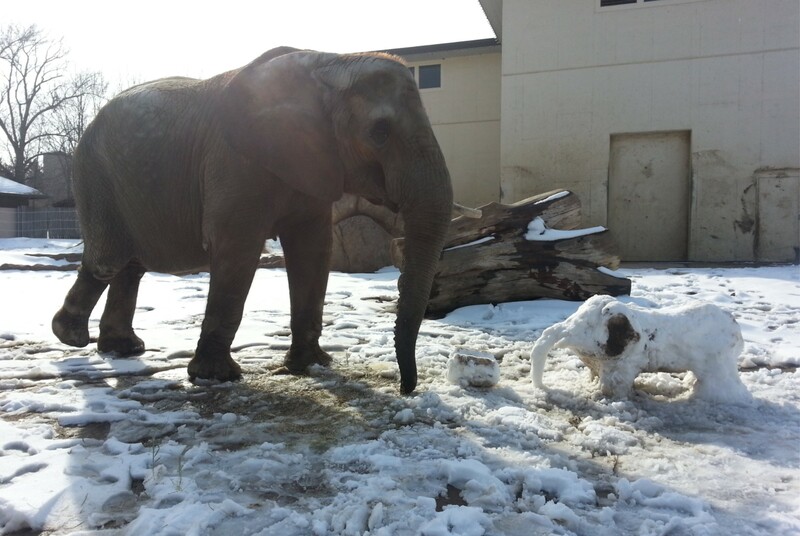 Tembo the African Elephant enjoying enrichment prepared by her zookeepers. 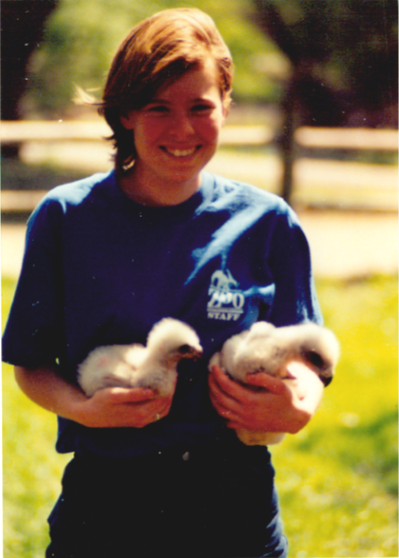 Topeka Zoo was the first zoo to hatch Golden Eagles in human care. 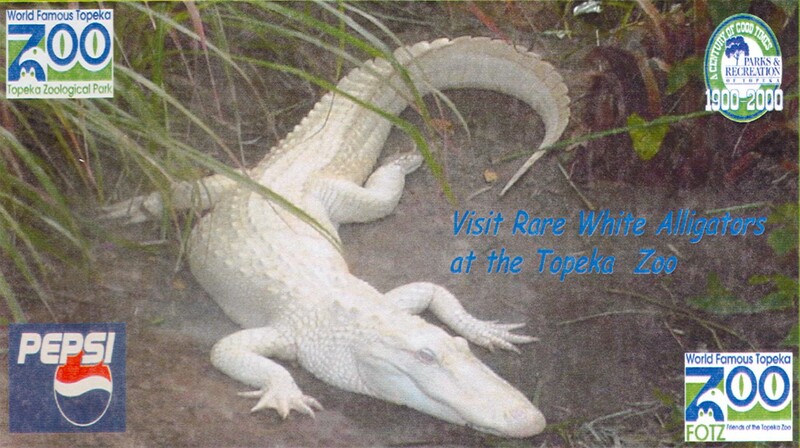 Rare white alligators visited in the summer of 2000. Gemsbok and other hoofstock previously resided where our current North American collection exists. 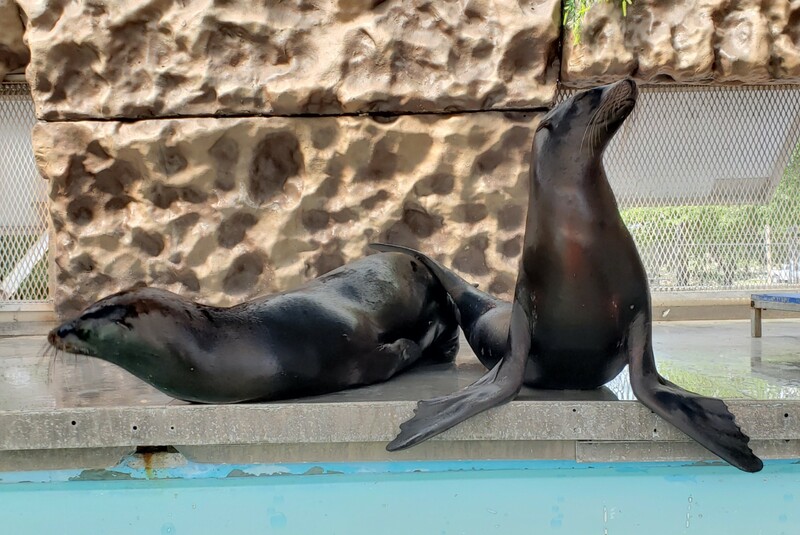 Sea Lion Splash educated and entertained guest in the summer of 2018. 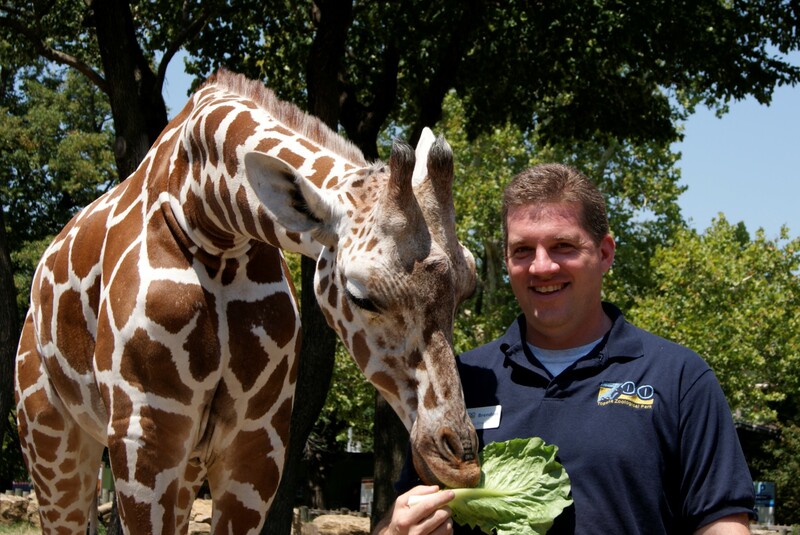 Director Brendan Wiley with Hope the Reticulated Giraffe. 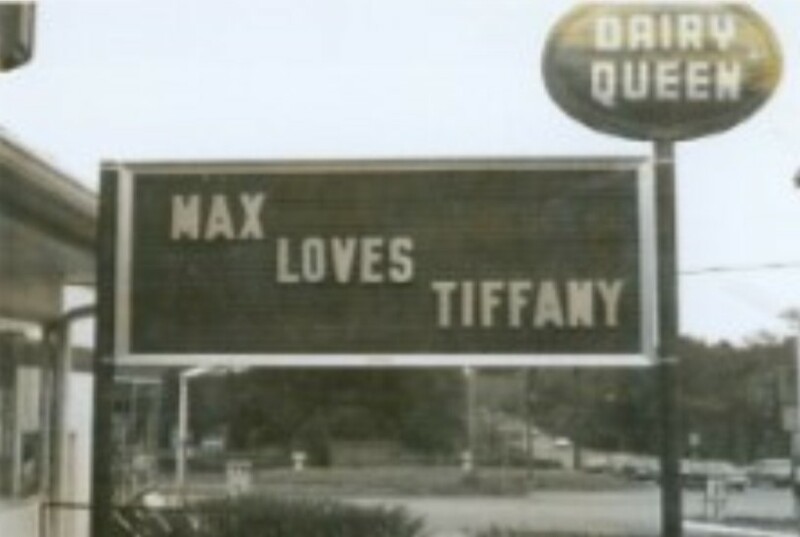 Both began their tenure in 2010. 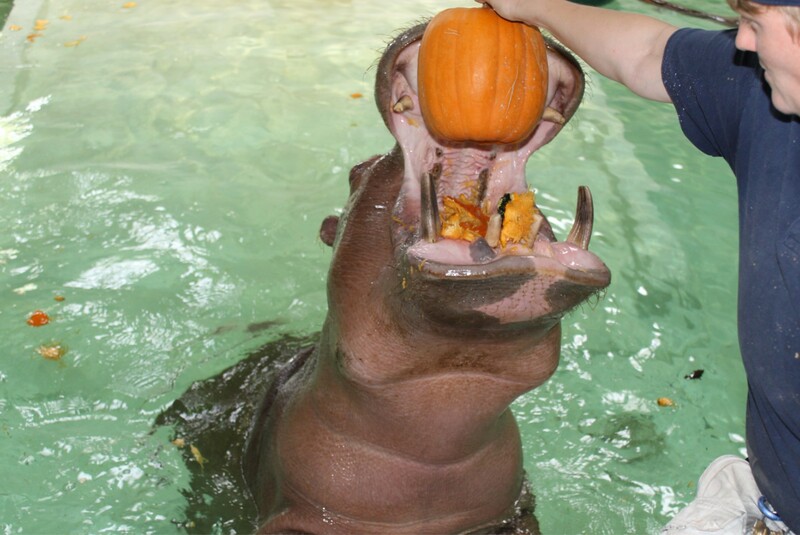 Vision the Hippopotamus was the first hippo born in Kansas in 2010. 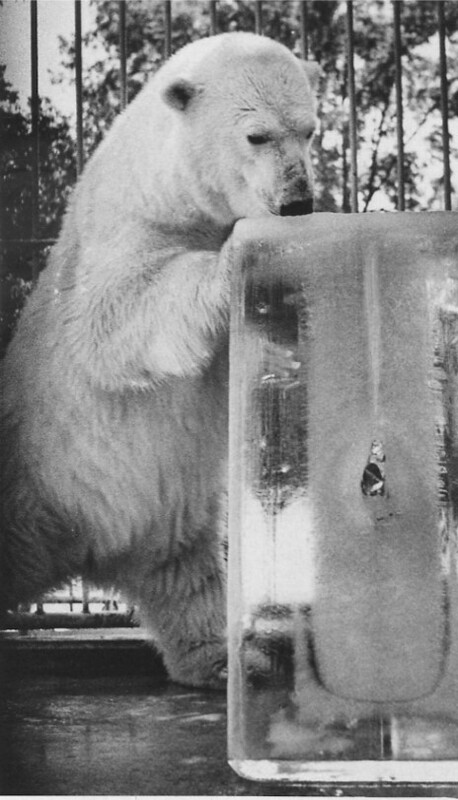 Ice Day was a popular feature for both guests and animals in August. 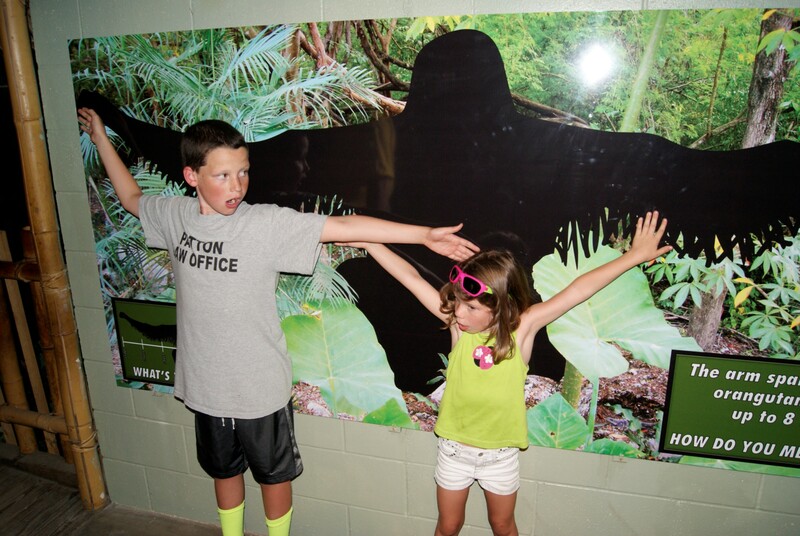 The Gorilla Encounter in Phase II was the first glass tunnel exhibit in North America that provided a 360 degree view of the gorillas. 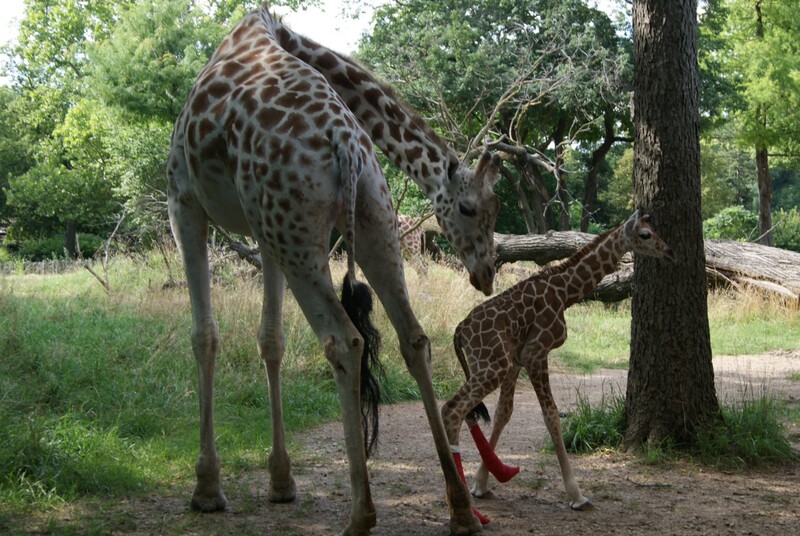 Hope the Reticulated Giraffe was born with hyperextended fetlocks which required special casts and physical therapy in order to thrive. 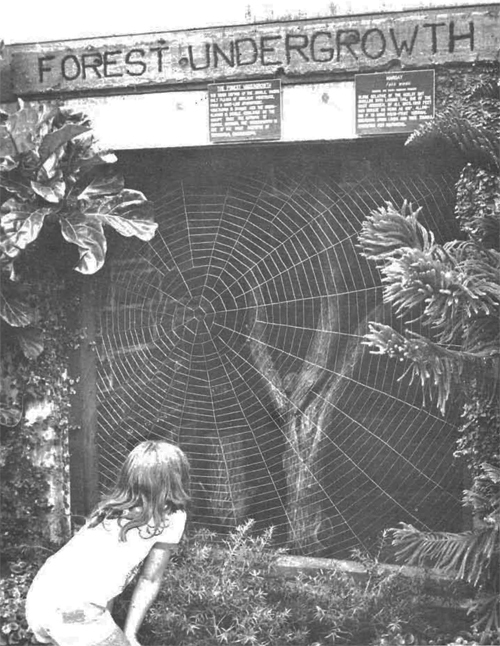 The steel spiderweb originally debuted in the Tropical Rainforest and now resides on the wall of Animals and Man. 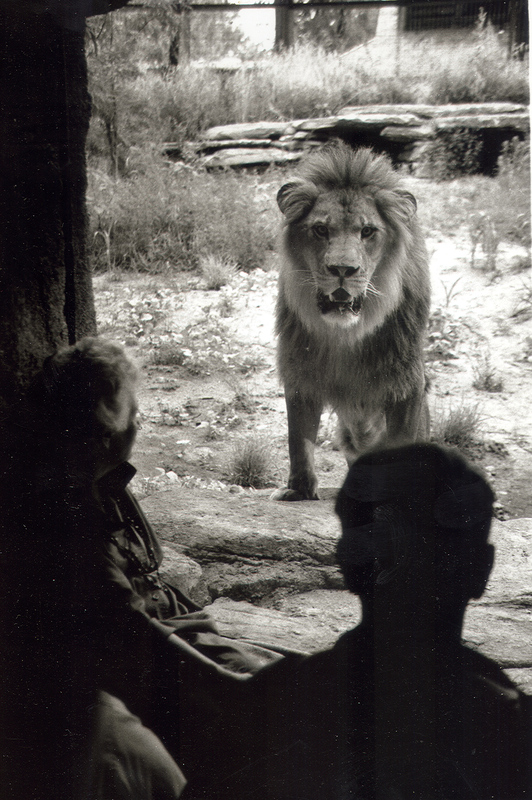 The original pride of lions featured a male, Samburu, and two females, Arusha and Manyara. 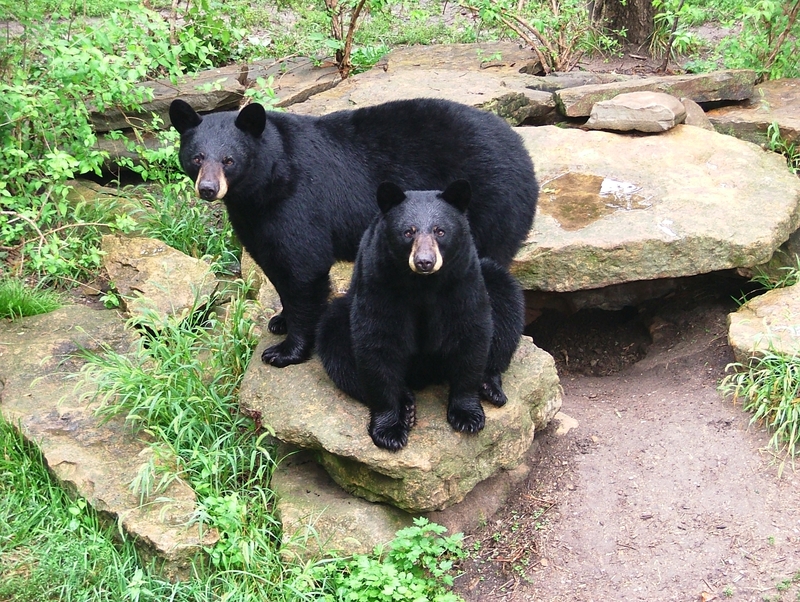 Sneak and Peak, the first bears to reside in Hills Black Bear Woods, which opened in 1996. 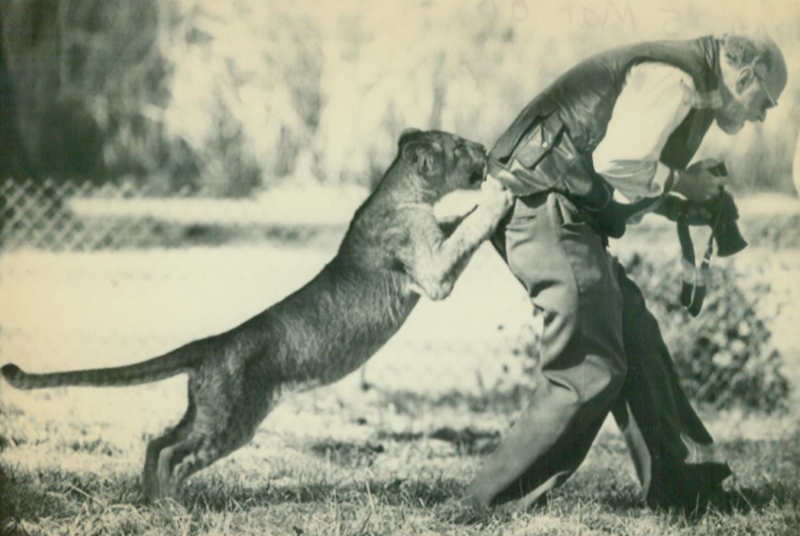 Exhibits evolved over the past several decades as natural habitats and enrichment became focal points. Butterfly Pavilion opened in 2016, featuring five native butterfly species. 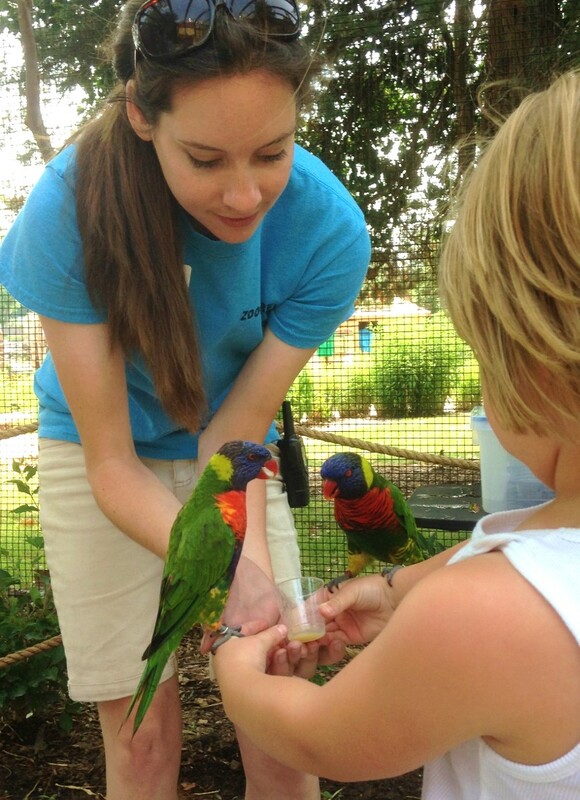 Adventure Trails featuring Lorikeet feedings opened in 2015. 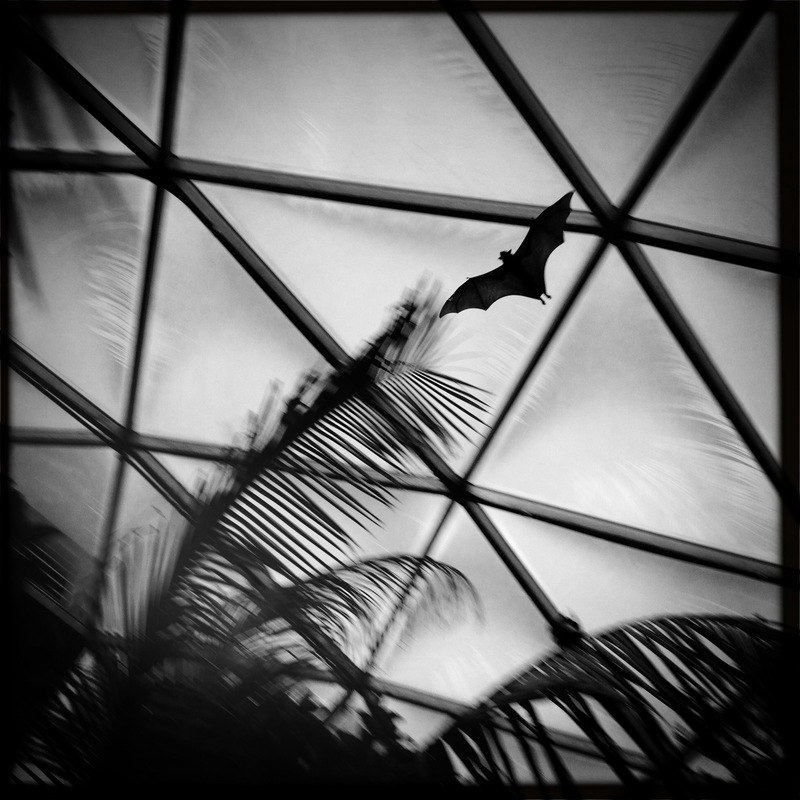 Giant Indian Fruit Bat flying in the Tropical Rainforest. 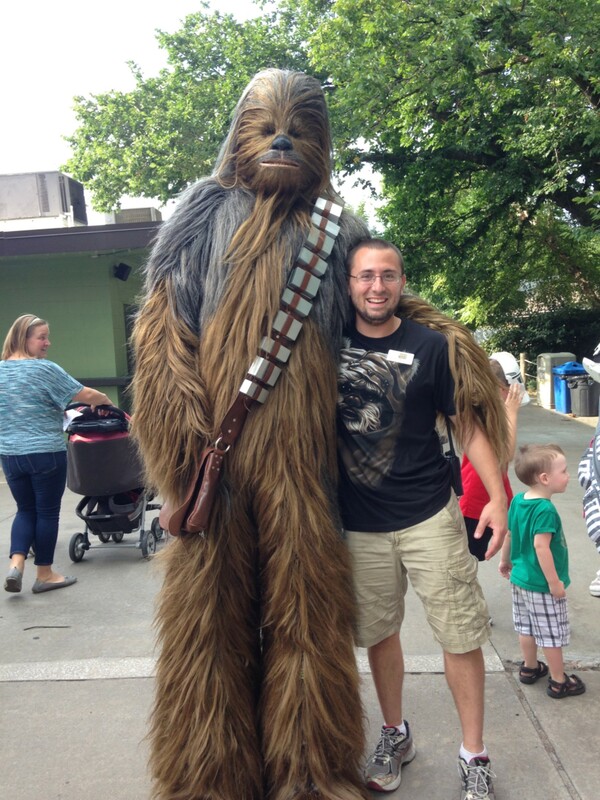 May the Fourth be with You! 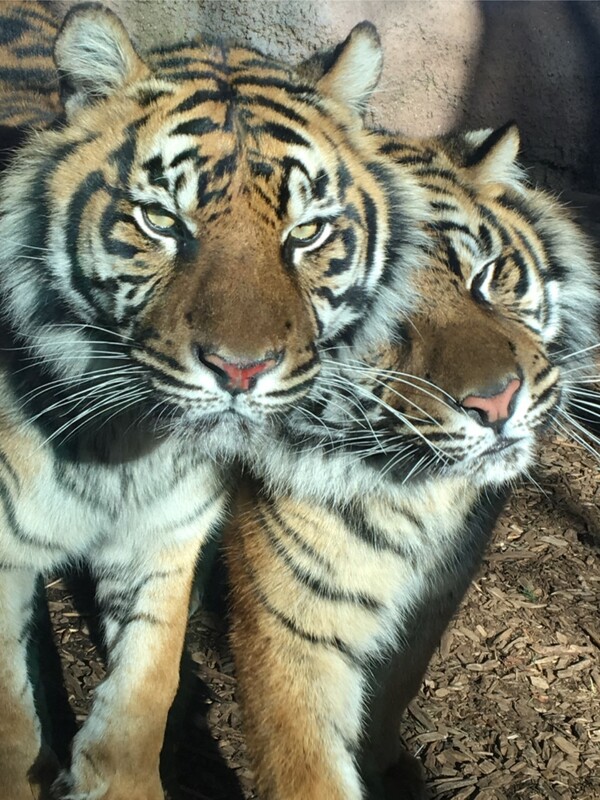 Three Sumatran Tiger cubs, ChloJo, Shanti, and Raza, were born to mother, Jingga, and father, Rojo, on the fourth of May 2014. 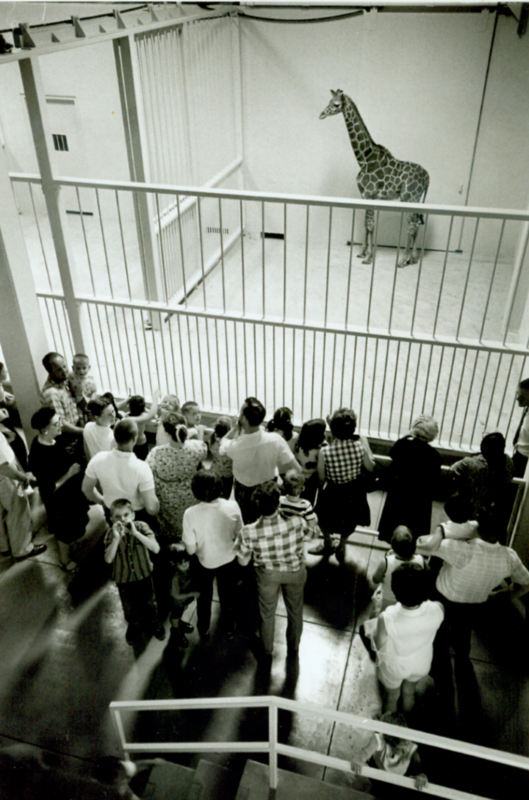 The docent program spans decades of dedicated service educating the public. 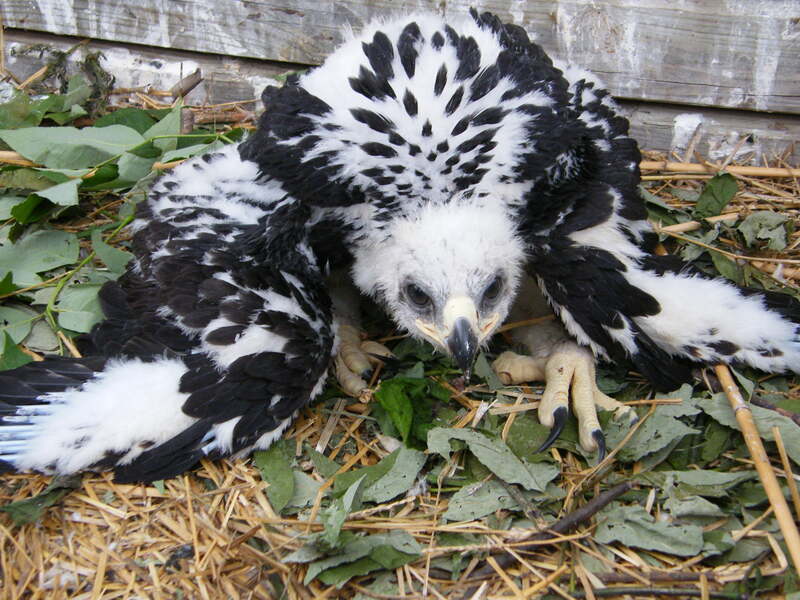 We no longer breed Golden Eagles as the wild population reached a sustainable level. 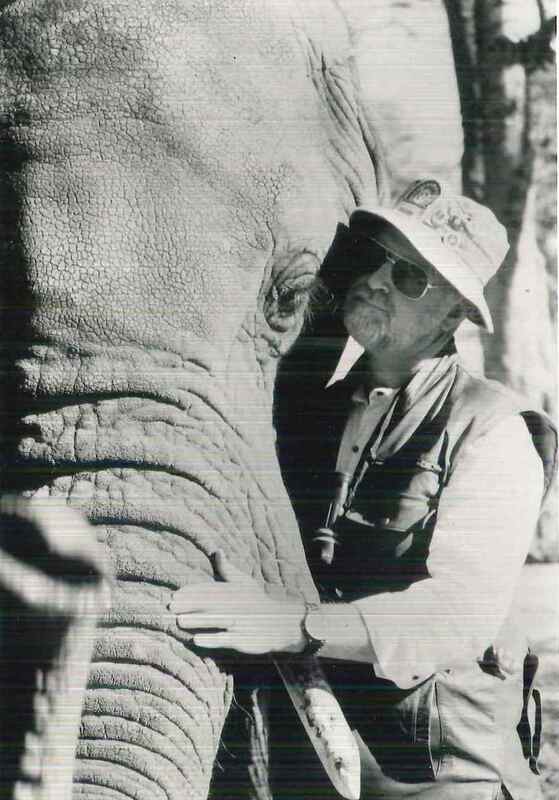 Every day we strive to end wildlife extinction. 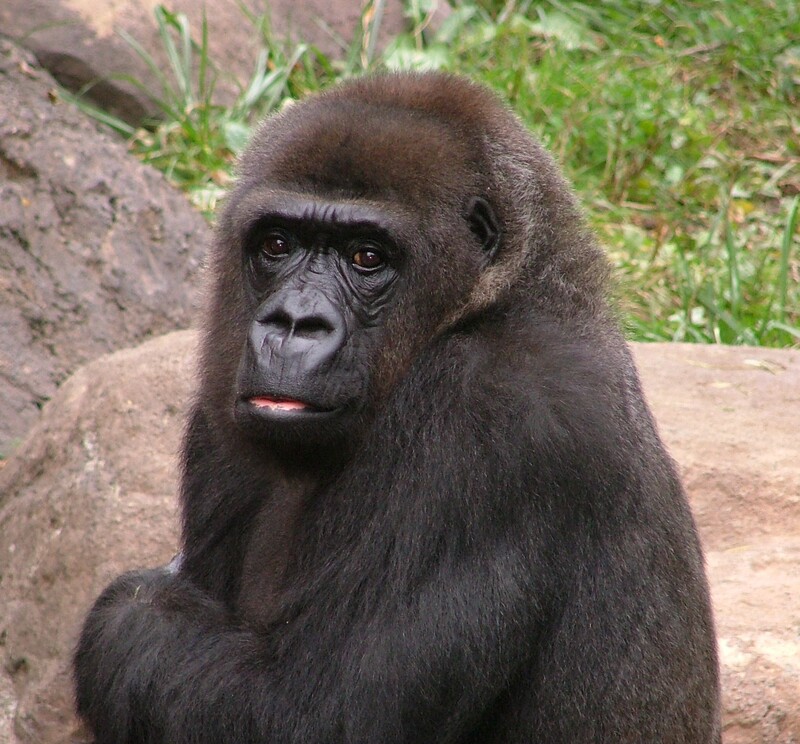 Your choice to support the Topeka Zoo is an opportunity to change our world for the better.  No admission after 4:30 p.m.